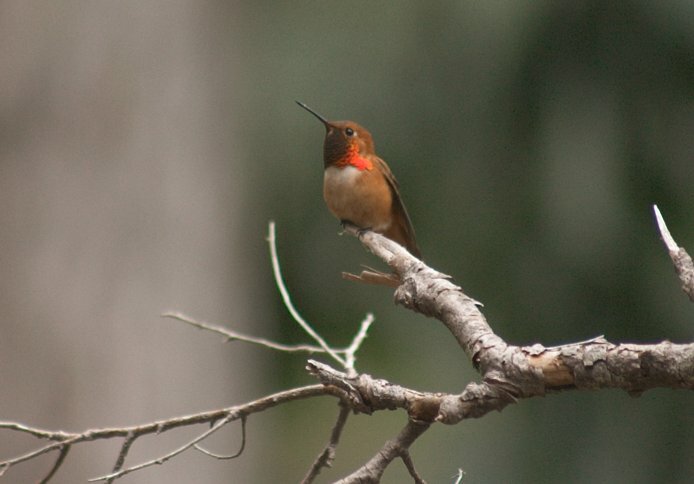 While I had difficulty seeing the hummingbirds on the way up, it seemed to be much easier on the way down. There were one (or possibly two or three) birds that flew from perch to perch and occasionally made a call. They seemed to make circuits between the same perches, so I was able to get this picture by waiting for the bird to fly back to this perch.